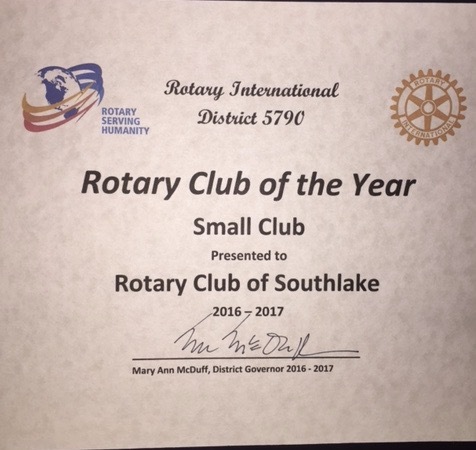 We are proud to announce that at the District Conference (May 13), our club was recognized as the Rotary Club of the Year for small clubs. 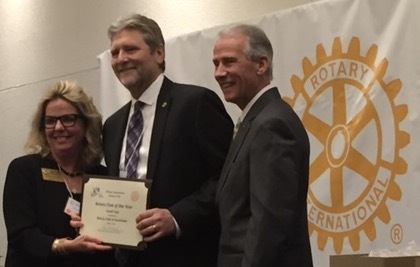 Although we don't do it for awards, it’s nice to be recognized by our peers and fellow Rotarians for our achievements. 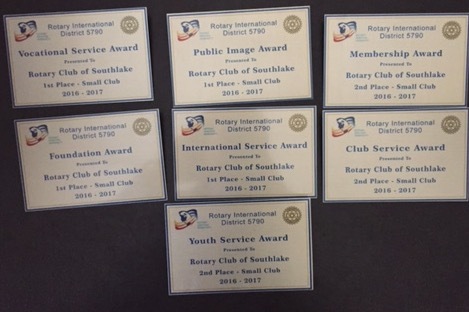 Thanks to the team efforts of our growing membership and others the community, we have been able to accomplish a lot for a small club. 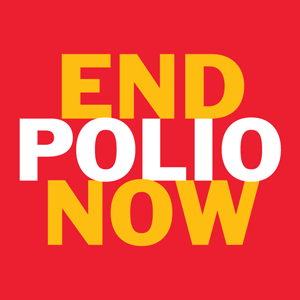 With your help, we look forward to accomplishing more in the years to come.